George moved to Tampa in 1946 with his family and has resided in South Tampa ever since. He attended Jesuit High School and received a BS in Accounting from The University of Tampa. He received his Certified Public Accountant Certificate and was associated with local and international CPA firms for over 20 years. He is a lifetime member of both the Florida and American Institutes of Certified Public Accountants. Public accounting was followed by Corporate Employment in the Automotive Industry. The combination provided a broad base of business experience in both the public and private sectors. George became a Licensed Real Estate Professional in 2004 and assisted his wife, Sue, until her passing in June of 2017. 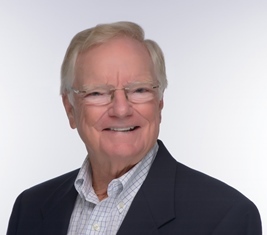 Having lived, worked, and played in south Tampa and on Little Gasparilla Island, George understands both of these unique real estate markets. Their daughter, Lynne Paskert-Brown, joined the team several years ago. Now the father/daughter team have taken the baton from Sue so that her “client first” philosophy lives on!